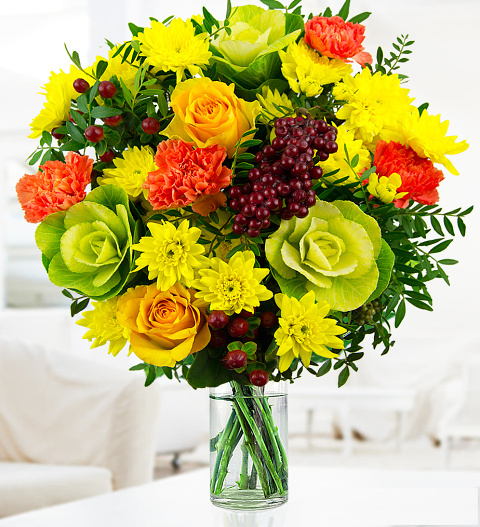 Our team of expert florists have put together this abundantly warm and charming bouquet for any occasion. Included are yellow roses, chrysanthemums, cerise carnations, brassicas, hypericum, and pistacia. We have also added a red berry pick for even more character and contrast. Send this fine flower arrangement to celebrate a loved one's birthday, new job, anniversary, or any other occasion!